Photo: Prof. Krijn de Jong receives the ‘Protonpluim’ for best lecturer of 2015/2016. First-year students of the Bachelor Chemistry elected Prof. Krijn de Jong as best lecturer of the academic year 2015/2016. 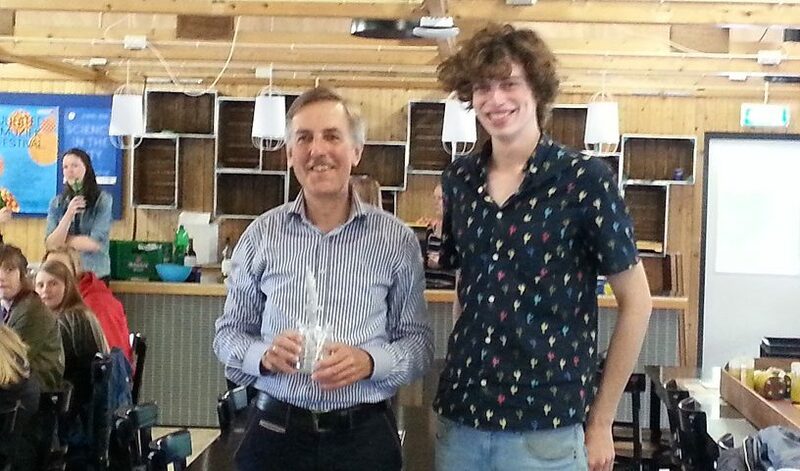 The award is called the Protonpluim and was handed over by Jitse van der Horn of the board of Proton on June 29th.